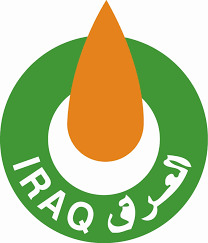 Iraq Ministry of Oil News: The minister of Oil Meets with a Delegation From Ruhrpumpen German Company. The meeting was attended also by the counselor of the minister and the director general of the oil projects company. Mr. Jabbar Ali Hussein Ali Al-Luiebi the minister of oil met with a delegation from RUHRPUMPEN German Company headed by Mr.Khavier Garza. Mr. Al-Luiebi discussed with the delegation about developing the bilateral cooperation to execute the significant projects in the Iraqi oil & gas sector. He confirmed also on the necessity of strengthening and developing the relations with the international companies, and said also that the ministry of oil is preparing the appropriate environment for the work of the international companies in Iraq. Mr. Garza said that his company is working on to develop the bilateral work with the ministry of oil to develop the Iraqi oil sector.